Computer problems on two continents here at Planet Lippstone. A story for another day. 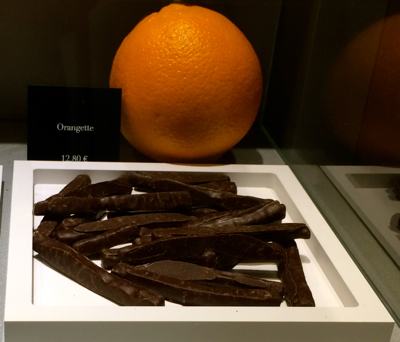 Meanwhile, it was the most indulgent reason I knew for going to Brussels: I was tired of mediocre chocolate. Spring had finally sprung; Easter was approaching; and I didn’t want to be subjected to more substandard offerings from the likes of Russell Stover and Hershey, which was practically in my backyard. What’s so bad about Hershey, you ask? It’s everywhere, so it’s obviously doing something right, no? To me, it’s always had the dependable consistency of dried paint. Even at a young age, growing up with the stuff, I knew there had to be more exotic out there somewhere. More exotic than Godiva, which, while it may be authentic Belgian chocolate, doesn’t count because it’s also sold at my local department store. And Barnes & Noble. How ordinary can you get? I wanted to go all the way — to Brussels, and indulge in the other offerings at the source in extravagant adult candy land. That’s why I was thrilled that I had an airline credit that was about to expire. It didn’t pay for the whole trip but it helped considerably. 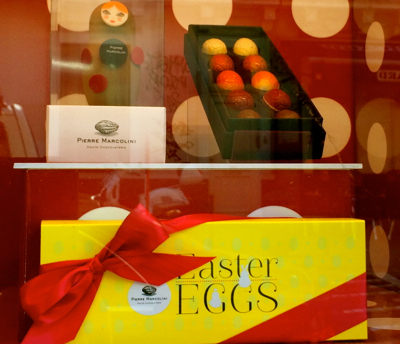 Best part: I’d be there for Easter, a red-letter day for chocoholics. 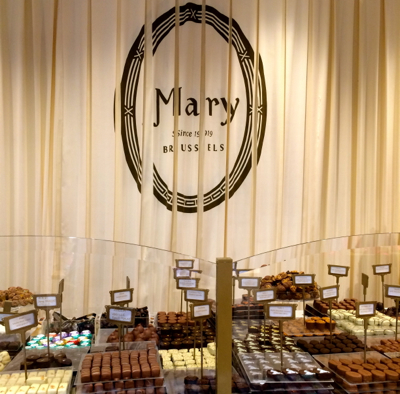 There are any number of chocolate-tasting tours you can take in Brussels. There’s also a chocolate museum. I opted for looking things up on my own. The tours are expensive and seem rushed. But if you don’t have the time, they may be just the thing. 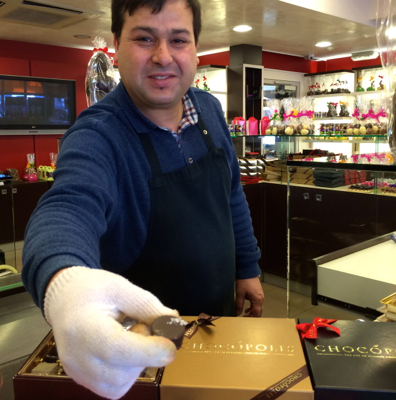 Fortunately, I had a few days and I knew which chocolatiers I wanted to visit. It was just a matter of logistics. Brussels is relatively compact, so almost everything was accessible by foot or public transportation. 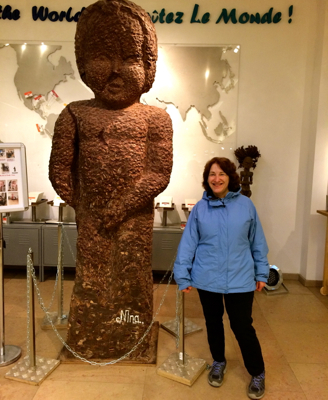 Big chocolate replica at Zaabar of the Manneken-Pis, a bizarre Brussels tourist attraction in another part of town. 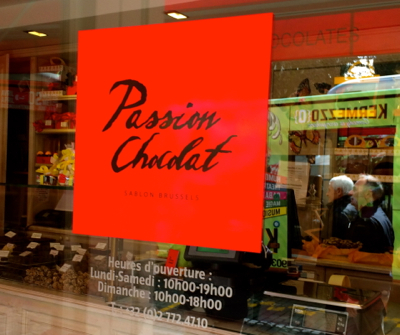 The Brussels place is a chocolate manufacturer where they give chocolate-making classes. Far from the only one, of course. The answer, apparently, is the formula: larger amounts of cocoa and cocoa butter; it has to adhere to certain government standards. Which are supposed to protect against watered-down dreck. It’s generally handmade, and there’s something to do with the heating and cooling process. See here. And here. Now that the technical stuff’s out of the way, here’s the results of The Official Planet Lippstone Belgian Chocolate Taste Test. In other words, is it worth the trip? The rules were pretty simple. The tastings had to: A) Leave me swooning. B) And gasping for more. I stuck with dark chocolates to keep things consistent. Your tastebuds may vary. I spaced things out over a couple days. Otherwise, each of the flavors would have cancelled the other out. Here then, the results, from awesome to awful. 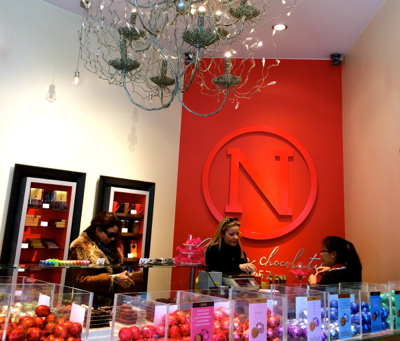 Neuhaus. The story goes that in the 19th century, Jean Neuhaus opened a pharmacy and dipped the medicines in chocolate to make them tastier. His grandson replaced the drugs with cream, which he dubbed a praline, the first filled chocolate. No wonder my chocolate-covered vanilla butter cream, went down so smooth. Not like chewy, vanilla-flavored glue. More? Yes, please. Wittamer. Swoon City. Supposed to be a favorite with the Belgian royals. The hot chocolate was a nectar of dark and light chocolate. With fab whipped cream and luscious little pastries. What a rush, and not in a sickening-sweet way. Pierre Marcolini. Trendy and expensive. Informally dubbed the “Christian Dior” of chocolate. A big local favorite. Packaging was gorgeous. Marcolini’s version of one of my staples, chocolate-covered marshmallows, was fluffy, not the usual gummy pads that give you instant cavities. Easter eggs were understated. A little too understated. Frederic Blondeel. After savoring one mint chocolate, I wanted another. And another. Leonidas. Another venerable brand. The chocolate-covered coffee cream was just OK. And the chocolate-covered orange peel was too plastic and not as subtle as Marcolini’s. Jean Galler. Word is the Belgian royal family likes to pig out here, too. 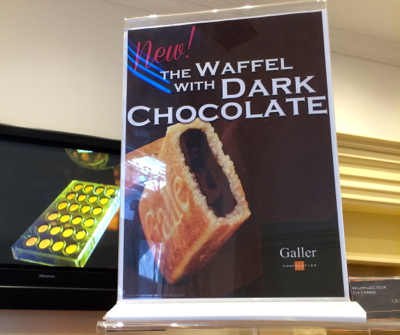 The chocolate-covered waffle thingy was a new item. An overpriced Pop Tart. Maybe I should have tried something else. Mary. Pretty, but the chocolate-covered vanilla butter cream did nothing for me. Elisabeth. Huge letdown. There it was, what looked like the Belgian chocolate version of the Mallomar, my number-one indulgence. Chocolate-covered marshmallow with flaky graham cracker crust. Wait a minute: No graham cracker here. Too crispy and tasteless. Billy Crystal, you’re right: The lowly Mallomar is still the greatest cookie of all time. Zaabar. 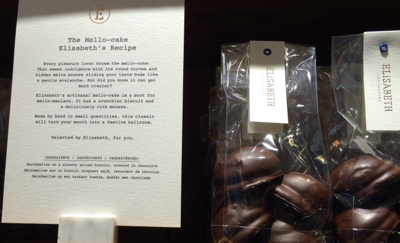 Yes, the place that gives chocolate-making lessons is no place to learn from, if you ask me. Seems the owner, who’s Belgian, fell in love with Turkey and decided to combine chocolate with things it should never be combined with. Namely, spices that have no business mucking up other flavors, let alone chocolate. 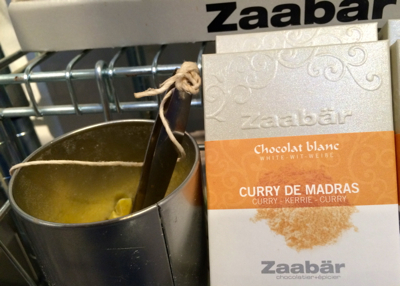 I sampled chocolate mixed with fennel, rose, pepper, mace (really) and turmeric. Vile. I’ll take my turmeric in my curry, thank you. Not mixed in with dessert. At this point, I’d had it. No thanks. No more. Raising the white flag. I was sick and drunk on all that sugar, and craving real food. I was finally listening to what my body had been trying to tell me for a lifetime: Chocolate is a treat and not one of the four basic food groups. Haven’t had any since, unless you count, uh, some marshmallow twists for Passover from my local supermarket. Cheap and gummy. But hey, I’ll concede cheap and gummy has its place sometimes. 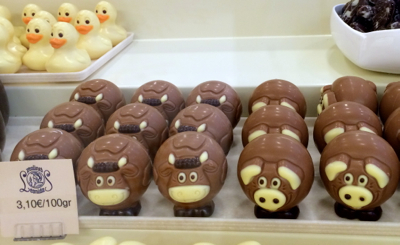 So is Belgian chocolate worth a trip to Belgium? Sure, if you happen to be there anyway. But as I discovered, it quickly becomes an afterthought. 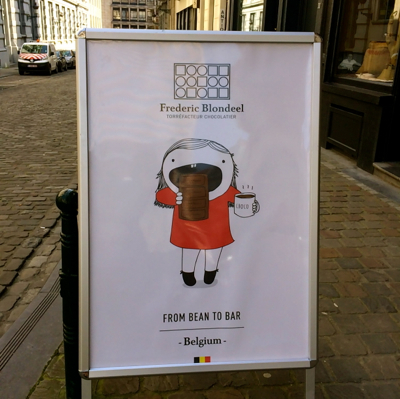 This entry was posted in Eats, Europe and tagged Belgian chocolate, Belgium Airbnb, Brussels, Easter chocolate, Pierre Marcolini, travel. Bookmark the permalink. 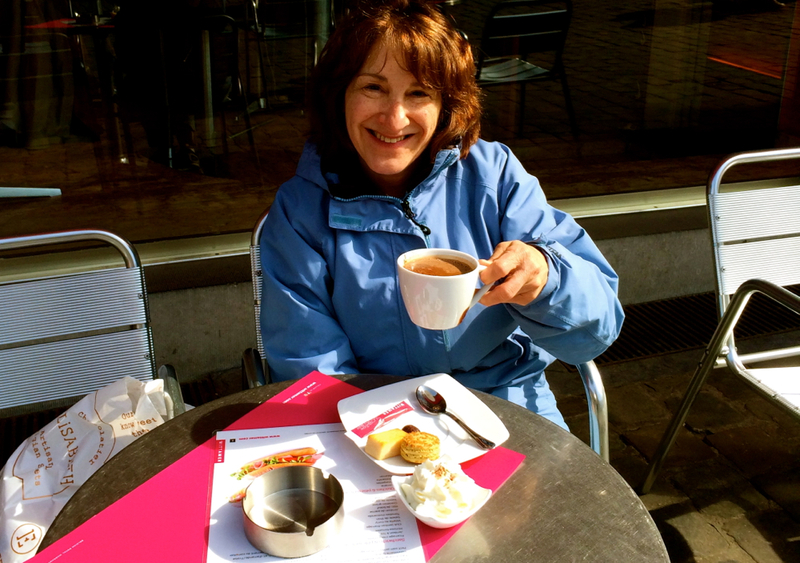 2 Responses to Brussels: Is Belgian chocolate really worth the trip? absolutely terrific! What an eye you have! Great information and the pictures are out of this world.